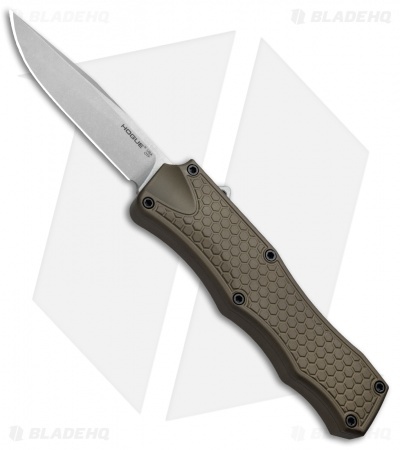 This Hogue OTF model has an FDE brown anodized handle and a stonewashed clip point blade. Hogue Knives presents this new OTF contender with a spectacular design from Allen Elishewitz. 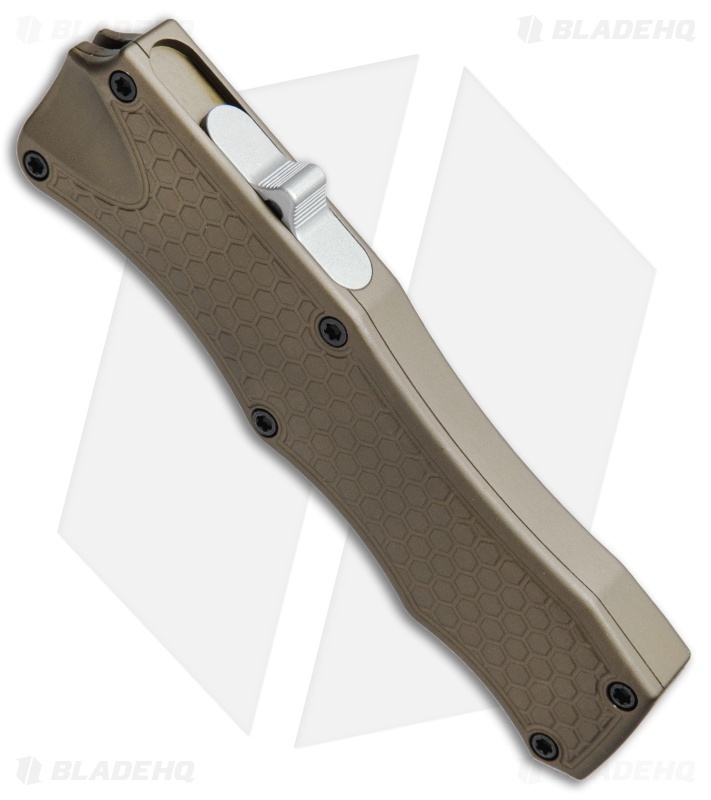 The Hogue OTF features double-action deployment at incredible speeds using the prominent side mounted thumb slide. Its contoured aluminum handle is made with shallow finger grooves and a textured front pattern for improved grip during use. 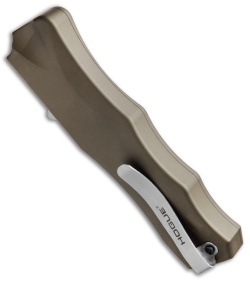 Includes a removable deep carry clip for discreet pocket carry.